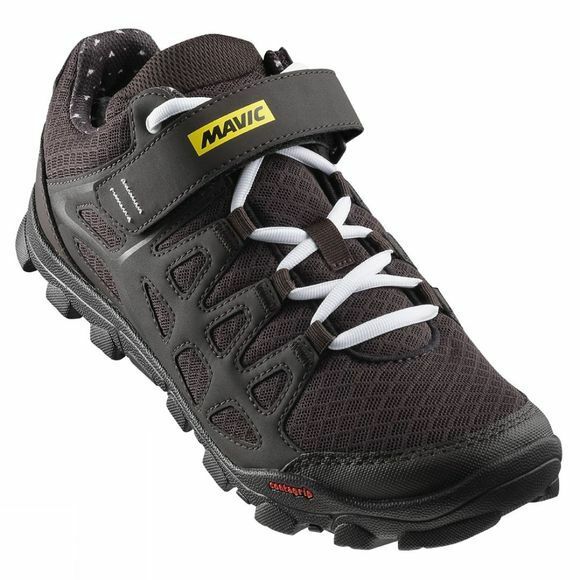 The women's Echappee Trail shoe by Mavic is designed for comfort and style on and off the bike. A combination of comfortable lace closure and strap keeps your foot supported, whilst the Ergo Fit OrthoLite insoles hug the feet when riding and walking. 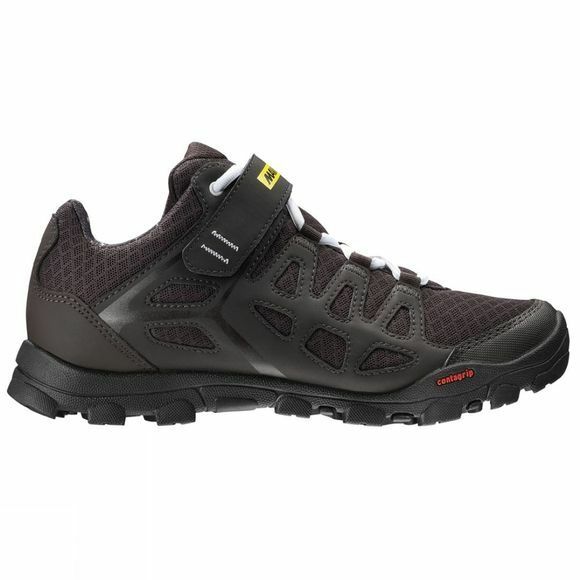 Designed with high volume for bigger feet, the Echappee Trail has additional heel and toe protection for rough terrain, and Contagrip for traction and durability.